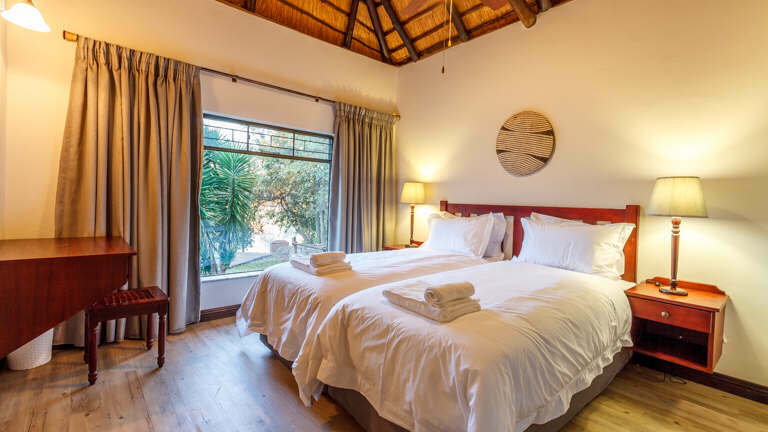 A feeling of space is what comes to mind when staying in Dzombo. 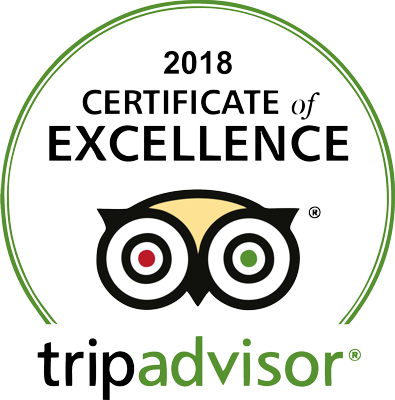 Three large bedrooms sleeping 6 guests in comfort. A veranda leads off the lounge into the garden where a private swimming pool awaits you. 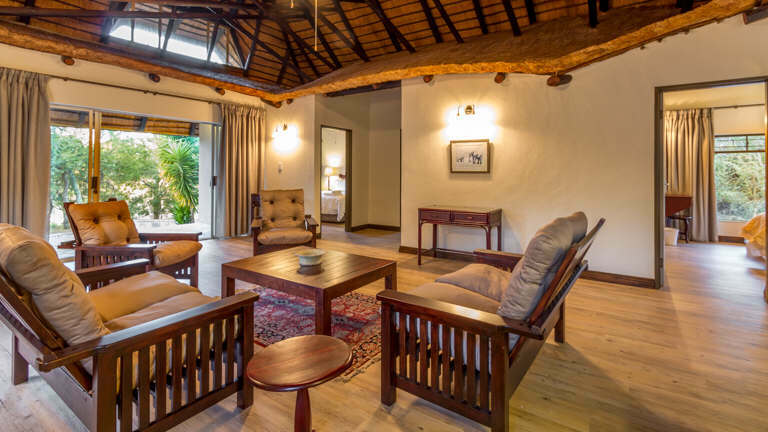 A cosy open lapa is also situated in close proximity to the pool if guests prefer to relax and unwind, soaking in the fresh air of the Bushveld. Dzombo is situated on Phelwana dam and guests are able to hear the hippos grunting away and the sounds of the Kingfisher from above. A feeling of space is what comes to mind when staying in Mafunyane. Three large bedrooms sleeping 6 guests in comfort. A veranda leads off the lounge into the garden where a private swimming pool awaits you. 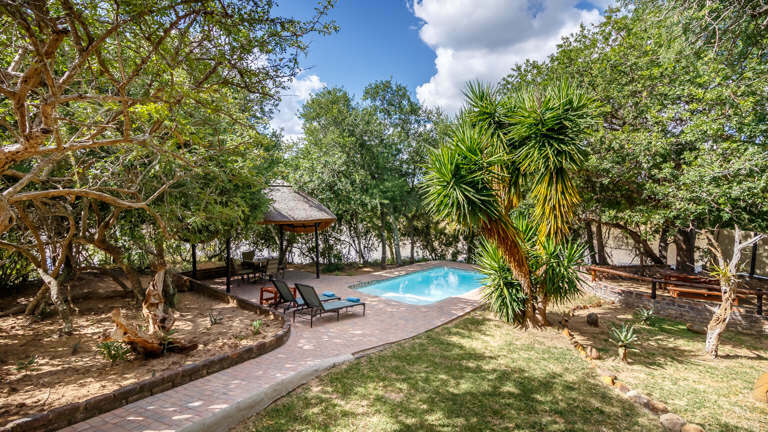 A cosy open lapa is also situated in close proximity to the pool if guests prefer to relax and unwind, soaking in the fresh air of the Bushveld. Mafunyane is situated on Phelwana dam and guests are able to hear the hippos grunting away and the sounds of the Kingfisher from above. 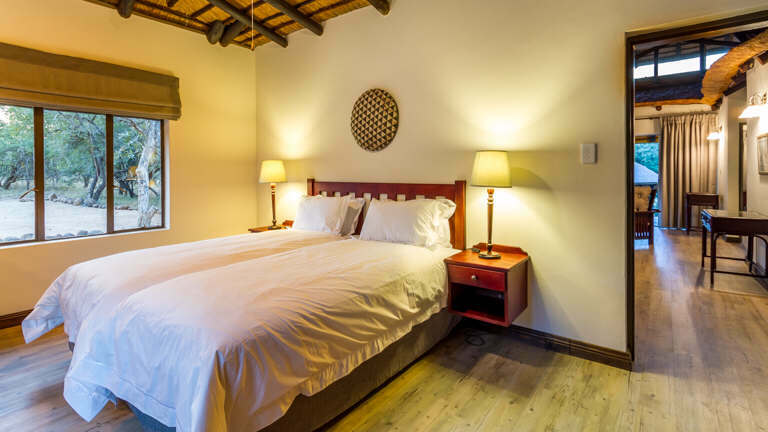 Situated alongside the viewing tower and small waterhole, is Joao. Sleeping six guests comfortably, Joao also provides guests their own swimming pool. All secluded and very private. Joao is situated deep in the bush and enjoys much game that drink at the water hole. This unit is wheel chair friendly and fully equipped for people with disabilities.